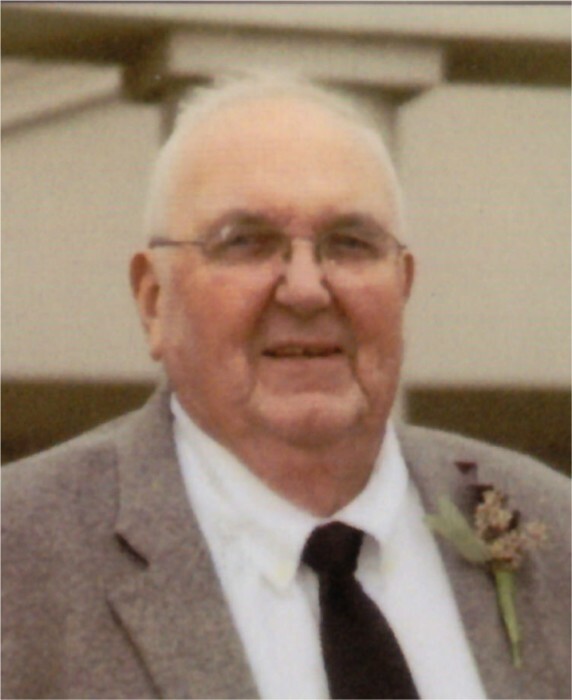 Dale Louis Willis, 80, of Quincy, passed away at 4:28 p.m. Friday (February 1, 2019) at his home. Born June 6, 1938 in Pekin, Illinois, Dale was the son of Louis and Mary Effie Richmond Willis. He married Katherine "Katie" Osterman on January 21, 1967 in St. Anthony Church in Quincy. She survives. Mr. Willis served his country in the U. S. Army from 1957 to 1959. Dale was a member of First Union Congregational Church and was active with Quincy Quarter Madness. He was an avid St. Louis Cardinal fan and an accomplished woodworker, building and creating many beautiful pieces with one of his most recent being a full size nativity set. Dale enjoyed jigsaw puzzles, attending craft shows and traveling, taking several trips with the Senior Citizens throughout the United States. Dale was devoted to his family and loved following the activities of his children and grandchildren. Dale was employed at Western Electric Telephone Company and then for over 20 years with Harris Broadcasting as a Maintenance Foreman until his retirement. Dale then was a bus driver for the Quincy Public Schools Head Start Program, retiring in 2018. Survivors include his wife, Katie; two sons, Mike Willis (Trudy) of Quincy and Josh Willis of Wildwood, MO; a daughter in law Sarah Willis; four grandchildren, Morgan Widmer and Aubree Widmer both of Quincy and Eszter Willis and Zane Willis both of Wildwood, MO; a sister, Julia Neal (James) of Peoria, IL; a sister in law, Carolyn Reckers (Don) of Payson, IL; and many loving nieces and nephews. Mr. Willis was preceded in death by his parents; and a brother, William Willis. Funeral services will be held Monday morning at 11:00 in the First Union Congregational Church with Pastor Josh Vahle and Pastor Bruce Rice officiating. Military Honors by the Illinois National Guard Funeral Honors Detail will follow the services at the church. Burial will be in the Payson New Cemetery. Visitation will be Monday morning from 10:00 until the time of services at First Union Congregational Church. Memorials may be made to First Union Congregational Church, Payson New Cemetery Association or the Quincy Humane Society.